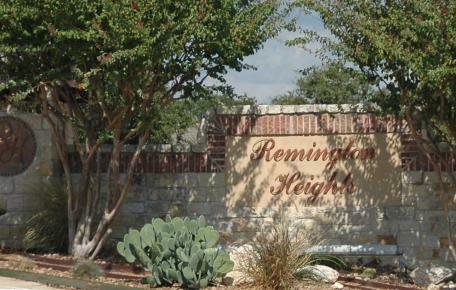 Welcome to the website for S.A. Remington Heights Homeowners Association, Inc.
Remington Heights is located approximately two miles North of Loop 1604 in the highly desired Stone Oak II area. It is a Master Planned Community featuring non-gated entrances. It hosts a wonderful 25 meter, 5 ½ feet deep pool, a kiddy pool, an outdoor barbecue area, a wonderfully shaded park and playground equipment area, and green areas for our community members to enjoy. Our community center is well utilized by our residents as well. Upcoming meetings for S.A. Remington Heights Homeowners Association, Inc.